Some time ago – I forget, exactly, how much, or even vaguely how much – the CSFF blog tour reviewed the entire Staff and Sword trilogy, written by Patrick W. Carr. Now Patrick Carr is back, and so are we. His new book is called The Shock of Night, and it is the beginning of the Darkwater Saga. Question: Does “saga” mean it will have more than three books? Answer: Probably, but you never know for sure. Even though a three-book series is by definition a “trilogy”, we cannot rule out it being labeled a “saga”. Sometimes authors just want to sound cool. There is one element of this book that I would like to bring up here, because I will probably be too busy making real points in my review to bring it up there. One character – a very tough character, a character who can kill men almost faster than the eye can follow – is named Bolt. This name did not really work for me, because it is the name of the eponymous hero of the movie Bolt, who was – as you may recall, and I certainly do – a dog who lived in a Hollywood-created delusion that he had superpowers. When I read “Bolt” on the pages of Patrick Carr’s book, quite often the voice of Mittens (a companion of the other Bolt) echoed in my head: “Bolt!” And this in a New York accent. Let me know if you experienced the same thing, or even thought of the movie Bolt. I want to know if I’m the only person making this association. Vivica Wilkins lived at the top. Her mother was governor, and about to become the president of the United Regions of North America. She had straight As, a personal bodyguard, money, social status, and awesome hacking skills. And then she got involved with a boy and lost all of it, except the hacking skills. This should be a lesson to all of us. The First Principle, Marissa Shrock’s debut novel, is a YA dystopian. It struck me initially as verging toward sci-fi, but not because of technology or aliens. It seemed, rather, futuristic, and even if it was an undesirable future, it didn’t have the grimness and desperation I associate with dystopians. I saw no sign of the Apocalypse. Now, on further consideration, I regard it more as a dystopian, and I think the impression of sci-fi came from two things. One, the distance between the characters and whatever catastrophe turned the United States of America into the United Regions of North America. Vivica is sixteen and, far from having any experience of the catastrophe, puts aside a history book because she’s not interested in the depressing details. Two – and this also relates back to character – Vivica is a member of the elite. Although the world she lives in is restrictive, and there are clear intimations of greater troubles just outside her circle of experience, her world hardly feels bleak. The First Principle is more directly engaged with current issues than other dystopians I have read. No less for that, it still paints a credible and oppressive future, with growing tension between an outward calm and simmering unrest. The dystopian world was well-constructed, real-world elements blended nicely with futuristic elements. The novel’s plot had its surprises; the common enemy was a well-added factor, layering the story. Drake was an entertaining character, and Vivica’s mother nicely complex. And I enjoyed the interplay between Melvin’s relationship with Vivica, his relationship with her mother, and his own ambitions. I appreciated how strongly the author used the mother/daughter relationship in this novel. I don’t see that often in the speculative fiction I read, and I am glad when I do. The echo of Jesus’ words a daughter against her mother, a mother against her daughter was effectively played. My one issue with the book is that it didn’t really sell me on the main character’s two major decisions. The author spent time developing both issues, and the final decisions were reasonable, but I hardly saw the character transitioning to them before, suddenly, she was there. The First Principle is the first book in a series, and I liked how the author ended it. The essential conflict of the story was resolved, and at the same time there was room for the story to go on – and some clear glimpses that it would go on to greater things. Given the quality of this novel, and the fact that I have very rarely read a series where the first book was the best, I felt confident regarding the next novel. The First Principle is a well-conceived dystopia with strong character relationships. Recommended. The First Principle is the debut novel of Marissa Shrock. It is dystopian (as is popular), YA (as dystopians so often are), and the subject of this month’s CSFF blog tour (as other YA dystopians have been). One surprise of this novel – and you will not see this point on any other stop in the tour, because nobody else has any reason to be surprised – one surprise was the phrase the Great Collapse, referring to some (not very specified) catastrophic breakdown of America. Now, I had been using this exact phrase, for a similar event, in a manuscript of my own, and suddenly I encountered it in someone else’s published book. This is the authorial equivalent of showing up at the prom in the same dress. Today the CSFF blog tour ends its hiatus with our first tour of 2015. 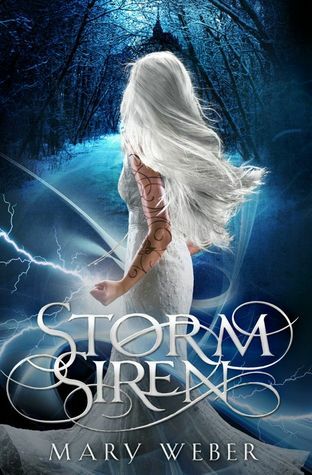 Our subject is Storm Siren, a YA novel written by debuting author Mary Weber. It’s already gotten a lot of attention, to judge by its Amazon reviews (169) and Goodreads reviews (411) and ratings (2,007). So, basically, we can all go home. No, wait. I was just overwhelmed by the numbers for a moment. What I was going to say is: Now it’s our turn to weigh in. I decided, on finishing the book, that this ought to be an interesting tour, so jump right in, by all means. I don’t have a whole lot to say, but, well, here I am talking anyway. This is the last day of the last CSFF blog tour for the Bright Empires series, and I wanted to wrap up with a final note – a post-script, if you will. The Bright Empires series would not be enjoyed by everyone; to some extent, it is a specialized taste, an unusual amalgam of historical, fantastical, and science fiction held together by old-fashioned writing. The style of the whole is old-school – slower, fuller, and richer than the modern style. You know that Stephen Lawhead is a successful author because they let him write books like this. 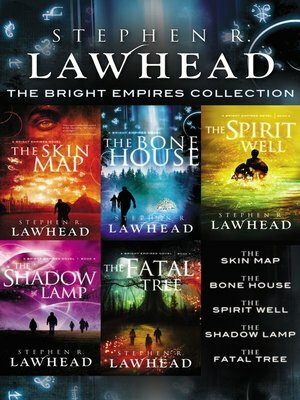 … and thanks to Becky Miller, who has for years ably run the blog tour that introduced me to the Bright Empires series and to Stephen Lawhead. The universe, they say, is constantly expanding. If it ever stops expanding, it will then begin to contract. Once it begins to contract, it will eventually collapse, and that will be the End of Everything. Everything is a lot, especially in the multiverse. 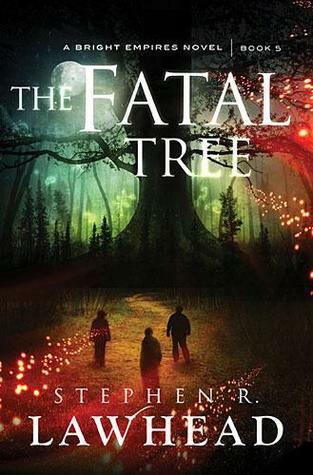 In The Fatal Tree, the conclusion of Stephen Lawhead’s five-part Bright Empires saga, our heroes face the greatest calamity of all. They must find a way to save the multiverse – to travel back, by way of the fatal tree, to that place where everything was undone. The Fatal Tree, with its doppelgangers and space observatory chapters, probably has the strongest flavor of sci-fi of any Bright Empires novel. The historical element, by contrast, fades a bit into the background; it maintains a presence, most crucially in the confounding of times and eras, but there is no in-depth plunge to compare with the explorations of The Skin Map. The first half of the book is less urgent in confronting the End of Everything than I would have expected. Lawhead spends a couple chapters wrapping up storylines from the previous books, and he also pursues another storyline whose importance to the ultimate resolution is not immediately obvious. The people who are trying to avert the catastrophe don’t get very far, or go around in circles, or mostly make scientific measurements of the coming end. Finally – I’m just going to park all my complaints about the story right here – I was unpleasantly surprised by the sudden cursing in this book. It was a little odd to have a main protagonist start cursing at the end of a five-book series, though I would rather have him curse only in the last book than in all of them. Yet and all, I enjoyed The Fatal Tree. I enjoyed it more than The Shadow Lamp, and probably even The Spirit Well. One reason for that is, I’ll admit straight off, the sidelining of the Zetetic Society, who had in earlier books contributed pages and pages of vague yet disagreeable philosophizing. I was always suspicious of them and now, at the end of the series, when they have still done nothing wrong … I’m still suspicious. More importantly, I admired what Lawhead did with Burleigh, his villain. I always enjoyed Burleigh as a villain, and the journey Lawhead charted for him was marvelous. I have rarely seen an author who could, with so much credibility, draw so much out of one character. I also liked the confusion of times and even of the multiverse; it was very interesting and appropriately sinister. As a sci-fi fan, I liked the ‘cosmic loop’ as well. Now, having criticized one element of the ending, I must praise the whole. It was magnificent, brilliantly imagined and shot through with powerful emotions. Kit’s vision of God had a sense of mystery and of awe, and so a certain glory. I appreciated, too, the happy endings, so well-painted, and the nod to the first book at the very end of the last book. At the end of this series, I commend The Fatal Tree – and the entire Bright Empires series – as a work of complex characters, fascinating concepts, rich historical milieus, masterful writing, and fantastic imagination. 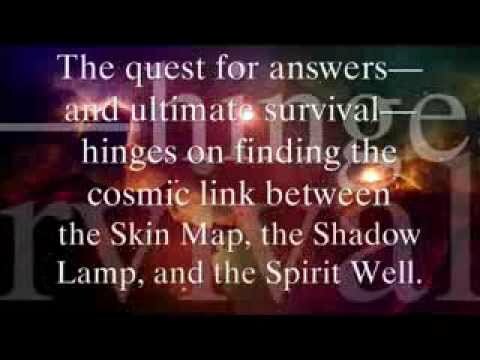 It was four years ago that Thomas Nelson published The Skin Map, by Stephen Lawhead, and so began the Bright Empires series. Every fall since then, a new Bright Empires book has come out: The Bone House, The Spirit Well, The Shadow Lamp. We of the CSFF blog tour reviewed every one, boldly following the intrepid explorers of the multiverse in their travels through time and space, tracing the cosmic snarls with vim and mental acuity and carefully made charts. The Fatal Tree, the newest Bright Empires novel, came out in October, bang on time. Now the CSFF is touring it – continuing, and concluding, the tradition, for with The Fatal Tree, the Bright Empires series finally comes home. So come and join us for the last tour. The publisher offered temporary tattoos to the tourers, supposed to resemble the tattoos worn by Arthur Flinders-Petrie, the Man Who Was The Map (long story). The tourers who accepted will be posting pictures of themselves, or someone they know, sporting the tattoos; Julie Bihn has done so already. The most outstanding element of Jill Williamson’s Safe Lands Trilogy is its world-building. From the opening pages of Captives, she created two worlds, orbiting no more than a rising mountain apart and yet utterly distinct. In the Safe Lands, all is pleasure and comfort and convenience, greased by the omnipresent wonders of technology. In little Glenrock, life is harder and the rules are stricter. On everyone is laid clear expectations of who and what they are expected to be, and they feel it when they fail. But unlike the people of the Safe Lands, the people of Glenrock had the freedom to go, and even to stay much longer. The entire trilogy is more or less about the collision of these two societies. These dual, conflicting worlds came to remind me of the Church and the larger culture of our present day. It’s not an exact resemblance, by any stretch; the world is not as dissolute or libertine as the Safe Lands, and the Christian community is not as strict or isolated as Glenrock. But the parallels can be drawn long. In Rebels, the last book of the trilogy, readers became acquainted with the Kindred, a separatist group within the Safe Lands that made common cause with the Glenrock exiles. Not that all the Kindred were willing in this arrangement. In fact, one woman was so unfriendly and judgmental toward outsiders of any stripe that she reminded me of Glenrock’s own leader. The founders of Glenrock and of the Kindred had excellent reasons for what they did. The separation from the Safe Lands was necessary to save themselves and their descendants from tyranny, deception, and all kinds of grief. Nor, in their fears and suspicions, were the people of these groups entirely unjustified. But it led some of the Glenrock folk to an unnerving callousness toward outsiders, and some of the Kindred to give up a much wider world for safety. And Rebels, like Captives, left me thinking about the Church and the world. 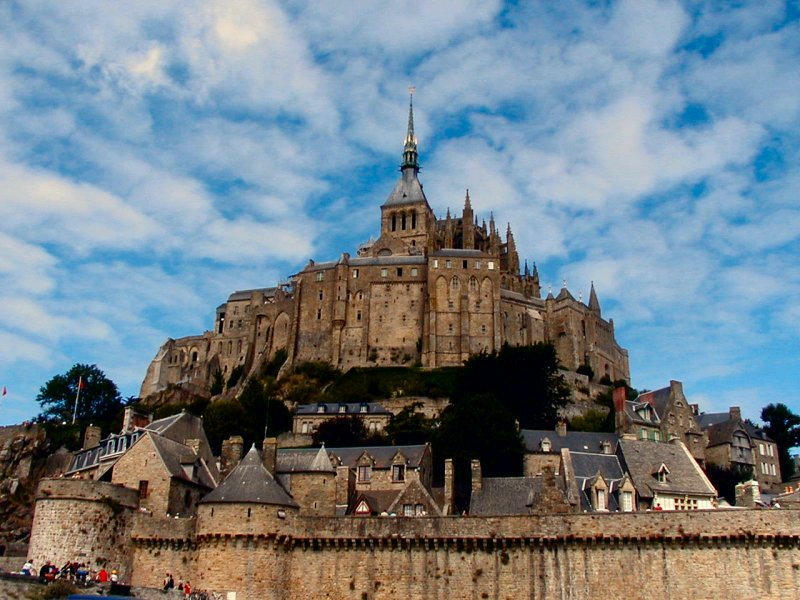 The New Testament rings with a sense of the separation between the Church and the world. It’s present in Christ’s image of His people as a city on a hill, in Peter’s addressing us as “aliens and strangers in the world”, in Hebrews’ portrait of the heroes of faith “looking for a country of their own”. Paul commands Christians not to “conform any longer to the pattern of this world”, John instructs us not to love the world, and James goes farthest of all, warning us that friendship toward the world is hatred toward God. But as with Glenrock and the Kindred, the necessary separation can turn to isolation and a noble mission can lose its focus to a selfish, inward concentration. The Church has been called to more than self-preservation. When we make preserving ourselves – or even preserving our families or communities – our only goal, we lose sight of God’s larger purpose. Of course, when we cease to make guarding ourselves and our communities any sort of goal, we may lose God’s purpose in another way. The Safe Lands Trilogy captures that truth, too, showing not only what happens to those who become rather too narrow in the straight way, but also to those who fail to recognize and reject the false ideas of the world. The same tension between preserving and going forth is found in the Sermon on the Mount, where Christ commands us both to keep our saltiness and to shine our light – and of such tension, perhaps, balance is made.